Gravesend Rowing Club was founded in the summer of 1878 at the instigation of a Mr F.W. Simes who had moved to Gravesend to set up a Corn and Seed Merchant business. Having been a member of a rowing club on the south coast, he wanted to establish a club along similar lines. The first ever sporting club in Gravesend (the Bat & Ball Cricket Club was founded the following year), it immediately attracted a membership containing some influential and prominent local citizens. One notable who lent his name to the club as its first Patron was the 7th Earl of Darnley and Lord of Cobham Hall, father of the Hon. Ivor Bligh who took the first England cricket team to Australia and lost the first Ashes. Being quite well off, they ordered new boats to be built and the first recorded race was between Sunbeam, Neptune and Mermaid, over a distance of 3 miles. These were clinker-built four-oared boats, with no riggers and fixed seats, and were built solely for racing. The outcome of this race is not clear as it is recorded that someone fired a gun before the boats reached the finishing line and the leaders at that point stopped rowing. 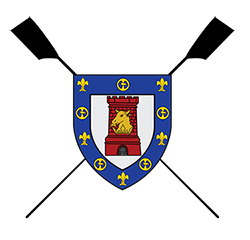 The first race against another club took place at the Gravesend Town Regatta (a long-standing event with a range of races for sailors and oarsmen) on the August Bank Holiday of the founding year. Their opponents were Curlew Rowing Club from Greenwich who proved too much for the fledgling oarsmen of Gravesend. The Challenge Cup for four-oared racing was introduced in about 1883 and is still contested to this day for any crew that wants to challenge another over any agreed course. One interesting feature of the club’s early years was the shift in the mid 1880’s from river to coastal racing and, after a few years, back again to river rowing. 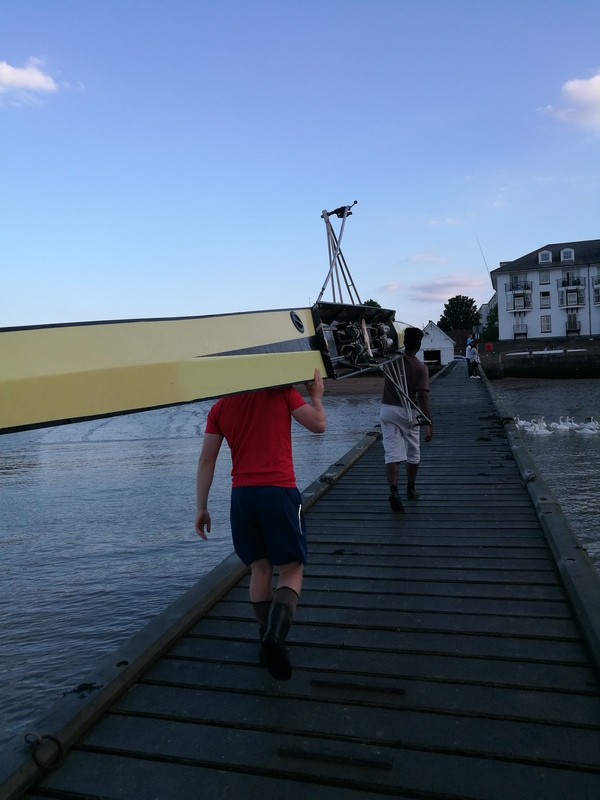 This sort of change is rare in the history of rowing and the reasons for it are not clear: it may be connected with the difficulties of transporting racing boats, the coastal experience of Mr Simes, or simply a reflection of the local conditions. Situated as it is on the lower Thames, Gravesend oarsmen experience their fair share of rough water and strong tides, so coastal events continue to feature in the rowing calendar to this day. Between the years of 1890 and 1906 was a Mr C.F. Constant, who served a grand total of 16 years: the longest-serving Captain to-date. Constant by name and constant by nature. In its early years two members of the club were drowned when a Pair overturned and so, to encourage members to develop their swimming ability, a silver cup was presented by a member to be a trophy for an annual swimming race. Today, this Cooper Cup is still raced for, with a similar prize for women. Swimming was obviously taken seriously as there is a tankard in the club marked ‘Cross River Swim’, a feat which seems daunting to us today as the distance is half a mile and crosses the deep water channel and busy shipping lane.